November 6, 2013 I bought Scott Stapp’s Proof of life album which is an amazing record from start to finish. It is his best solo record the best record his has done since Creed’s Weathered. There isn’t one bad song on this record 11 great songs each one has its own meaning. The record is truly the last chapter to his 2012 memoir Sinner’s creed. My personal favorites on the record are Slow suicide and hit me more. I was in awe and excitement to wait for the tour dates and to see he was coming to the TLA in Philadelphia, PA on Friday, Aptil 4, 2014. I bought Meet and greet and concert ticket November 23, 2013. It would be 132 days until the concert. A long, long, wait. The best thing to do is live, enjoy winter, and before I know it would be April 4, 2014. Finally, the day was here. I was already in line at 5:45pm talking to some of the other people there. It’s cool to share stories about Scott Stapp and his music in general. One of his fans brought up the topic of is it ok to say you like Scott Stapp’s music. I enjoyed hearing people’s stories of seeing some of his other concerts. At 6pm his tour manager (nice guy) started giving out bracelets to those who purchased the meet and greet passes. 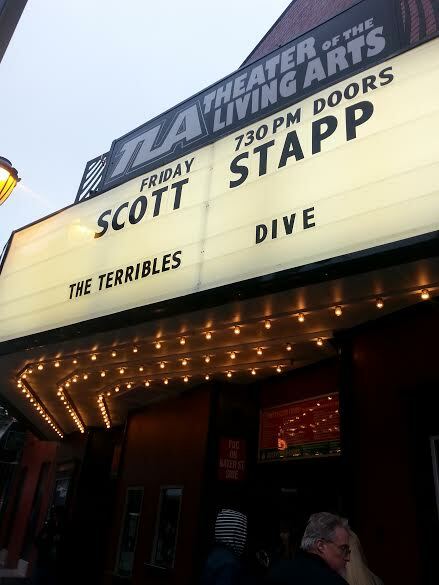 At 6:30pm we were making our way into the TLA venue to meet Scott Stapp. It was a bit chilly outside but it was all worth it. Scott’s tour manager laid down the rule no more than two autographs and he takes the pictures. We were all cool with the rules we were just excited to finally see this moment. Scott Stapp came out and was super nice shook hands with everyone. He signed my proof of life CD and we shook hands. I told him I have been a fan and loved his record with Creed My own prison. 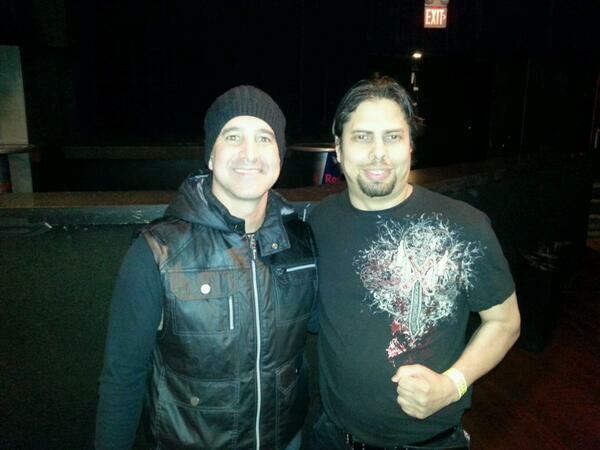 I finally got my picture taken with Scott Stapp. I was star struck and thinking I have listened to his music for 17 years here I am face to face with him telling him how much I love his records. When you are this excited you are praying nothing goes wrong that day that you don’t get hit by a car or struck by lightning. I thank Scott Stapp for doing meet and greet for a lot of his fans this is a opportunity for picture autograph and a chance for small chat. Even at 35 I still get as excited about music as I did when I was an 11 year old kid who would watch rock videos on MTV all day and be in my room listening to music. After two great opening acts the bands Dive and the terribles. At 10:20pm the stage was set for what would one of the best rock performances in Philadelphia. 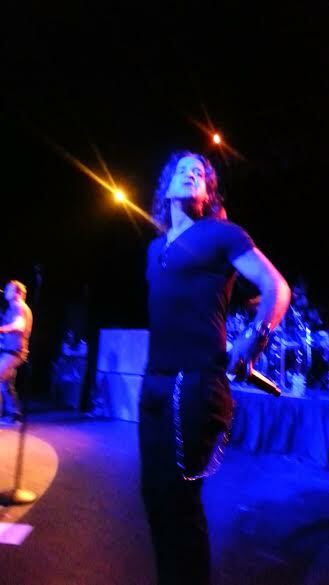 Scott Stapp hit the stage he had the eye of the tiger. You knew he was ready to rock Philadelphia and take you higher. He started out with a great one two punch with slow suicide and what if. It’s the perfect way to start the show. Justify was the only song from his first solo album but one that represents what he may have been going through in 2005. Justify is one of those songs that you may not like at first but after you hear it live you do. Scott Stapp took time to share a story about a nightmare he had in the past few weeks where he was facing himself and handcuffed himself and threw himself into a prison he went into the song my own prison. New day coming was a great sing along from the new album. 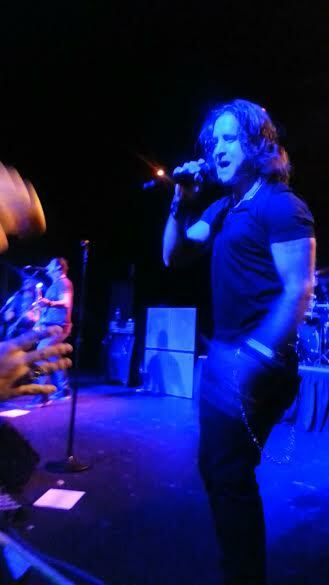 The biggest surprise of the night came when Scott Stapp performed bullet from the creed album weathered. It was a surprise but the song fit in the set list well. Bullet is a heavy song the whole place was rocking to that song as if this was the final song of the night. Nobody was expecting to hear that song live because in that song slot in the past shows overcome was played. In the age of youtube and setlist.fm hearing bullets was a welcomed and rocking surprise. Breakout was next another great song from the new album followed by higher. Scott Stapp told a story about hit me more. It is a song about taking hits and moving on. For me personally this was my highlight of the night. Hit me more is my favorite song off the new album. It is amazing as a fan to have heard the song over 100 times and then hear scott Stapp sing it live five feet away from me. One last breath, only one, and my sacrifice were next performed. The band was really rocking as if they have been playing together for a few years and not 10 shows. Scott shared a story on how his daughter would ask him why did he always have to go. He explained to his daughter that he has to go sing for people. She asked on so you are a rock star. He said no Jesus was a rock star. This was another great crowd sing along. 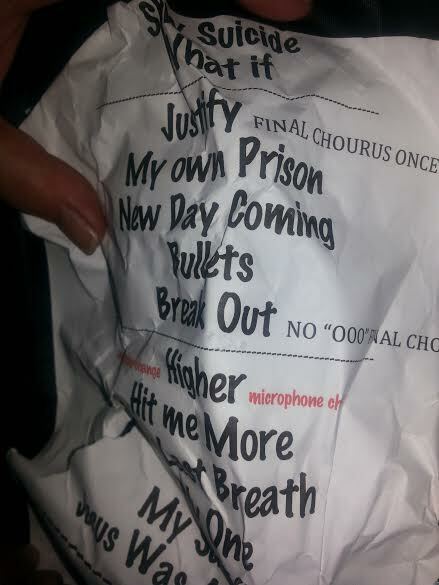 Crash and with arms wide open were the next songs to be performed. Dying to live and proof of life ended the 17 song set one hour and 45 minute show. The story telling about the song dying to live was inspiring. He shared the story taking the fans to a dark place in a grave thinking of all of the people you love and all of the people you miss. Seeing the blue sky again having that chance to do it. Pieces of scott stapp died the night of his almost demise. Scott Stapp has taken many hits from the critics in the past and he still does today. You can’t argue with success. Scott Stapp in 2014 is a 40-year-old man who is a work in progress. His music, his story has inspired and motivated a lot of his fans. The love of God, his wife, and three children keep him moving forward. The most important thing is Scott Stapp is in a happy place. His fans are just as happy for him. Scott feels his life and career has been given a 2nd choice. He is taking advantage of another chance. Scott Stapp doesn’t need to justify or prove anything to his critics. He has made a successful album that connects with his fans on a very personal level. For some of his fans who are going through the same thing the record serves as an inspiration to others. His songs are his legacy. With this record he has made a record that shows that he can still make a record that is meaningful. 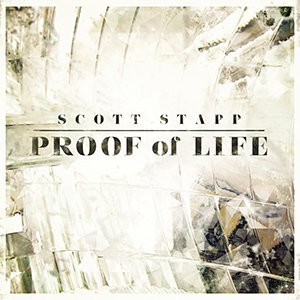 Proof of life is another landmark album for Scott Stapp. I’m happy to see Scott Stapp live on stage because at the meet and greets he is hearing the stories about how much his record means to his fans. 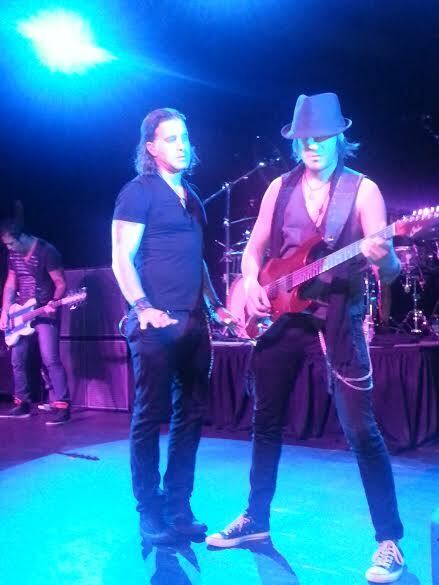 Scott Stapp plans on doing more touring for the rest of 2014. I hope everyone who wants to see him live gets the chance to see him live. This is a must see concert.